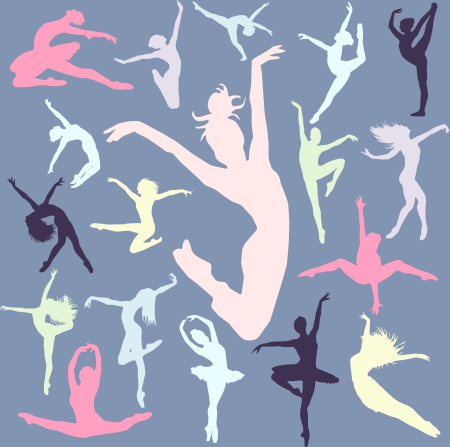 Several years ago Tustin Dance Center established a non-profit entity named Dance! To Your Heart’s Delight! for the purpose of promoting and spreading the joy of the arts to children and families in Orange County. With the primary vision of instilling in students' hearts a love for the art of dance within a professional production arena, this holiday season we are proudly producing and fully-staging our 15th annual The Nutcracker Ballet, featuring a cast of nationally-renowned professional dancers and over 50 very talented student dancers from Tustin Dance Center. Our three amazing performances will be held on the weekend of December 15 – 16, 2018 at Plummer Auditorium in Fullerton. As a part of the Tustin community for 40 years since 1978, thousands of dancers have waltzed through the doors of Tustin Dance Center. Our students attend local schools, dance on teams at OCSA, Foothill, Tustin and Beckman High Schools, and many have gone on to professional dance careers. And each year, we have the absolute privilege of working with over 50 studio dancers who share their talents in our Nutcracker Ballet performances. Of course, producing a large-scale event such as The Nutcracker Ballet requires a significant financial commitment. From renting the theatre and backdrops, to maintaining or replacing some of the hundreds of costumes we use, to casting professional dancers, to authoring and publishing the event program and marketing the event, the costs are many. And this year, for the first time in our 15 years of producing this wonderful event, we would also like to incorporate a live orchestra with 30 talented musicians. While we will recover much of our expenses through ticket sales, and by holding several smaller scale fundraising events such as our annual Nutcracker Gala and Sugar Plum Fairy Tea Party, we still need to raise another $35,000 to secure a live orchestra, to keep ticket costs low and at a rate that provides the best value in Orange County for a full-stage, professional ballet, and to again allow us to donate over 1000 seats to the underserved for the 6th year running. · By making an individual cash donation with one of the pre-set amounts listed below, or by becoming a corporate sponsor so that we can reach our aforementioned fundraising, production and community goals. 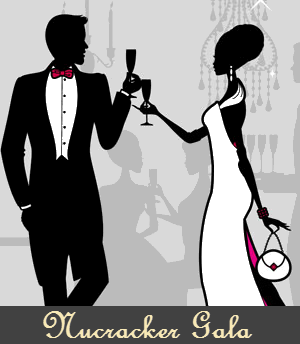 · By donating products and services that we can use as silent auction items at our annual Nutcracker Gala event. Our annual Nutcracker Gala and Sugar Plum Fairy Tea Party are ticketed events, however we too give back to the community through several free mini Nutcracker performances we call Nutcracker in a Nutshell. Our busy cast will donate their time and talents with Nutshell performances including OC Rescue Mission, Boys and Girls Clubs, Tustin Library, Groves of Tustin and the Enderle Center Holiday Open House. Sponsor will receive 4 tickets to a Nutcracker performance of their choice, a photo opportunity with a cast member, and their choice of a full page advertisement in the Nutcracker event program or 2 tickets to the Nutcracker Gala party and name recognition in our event program. Sponsor will receive 4 tickets to a Nutcracker performance of their choice, and their choice a half-page advertisement in the Nutcracker event program or 2 tickets to the Nutcracker Gala party and name recognition in our event program. Sponsor will receive 2 tickets to a Nutcracker performance of their choice, and their choice of a quarter-page add in the Nutcracker event program or 2 tickets to the Nutcracker Gala party and name recognition in our event program. Sponsor will receive their choice of a business card sized advertisement in the Nutcracker event program or 1 ticket to the Sugar Plum Fairy Tea Party and name recognition in our event program. Five tickets will be donated in sponsor’s name to the Tustin Boys and Girls Club. Sponsor will receive name recognition in the Nutcracker event program. Thank you for supporting this year’s Nutcracker and the arts! 1 Dance! To Your Heart’s Delight! is Tustin Dance Center’s 501(c)3 non-profit organization. Our non-profit was established to advance the arts within our studio and in the greater Tustin community. The proceeds from all Nutcracker performances, the Sugar Plum Fairy Tea Party, the Nutcracker Gala, other fundraisers and donations are wholly directed into the non-profit and used to fund the current or next year production of The Nutcracker Ballet. Learn more about these upcoming events below. TDC’s annual Sugar Plum Fairy Tea Party is a unique event and such great fun. Honored guests are treated to a magical day with cast members from The Nutcracker Ballet. Guests shared tea, treats, crafts, and shopping at the boutique, and take home a special picture taken with the Sugar Plum Fairy. If you have a question about any of the donation options or Nutcracker events listed above, please call Kelly Meyers, Director of TDC, at (714) 544-3072 or send an email to info@tustindance.com.